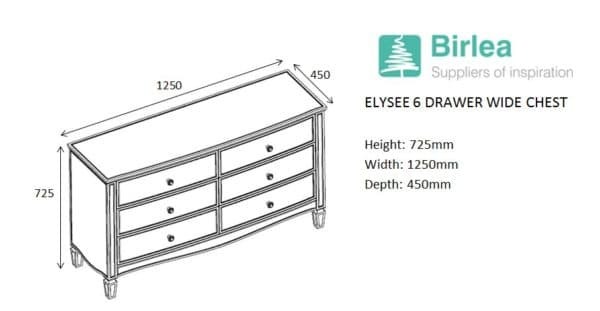 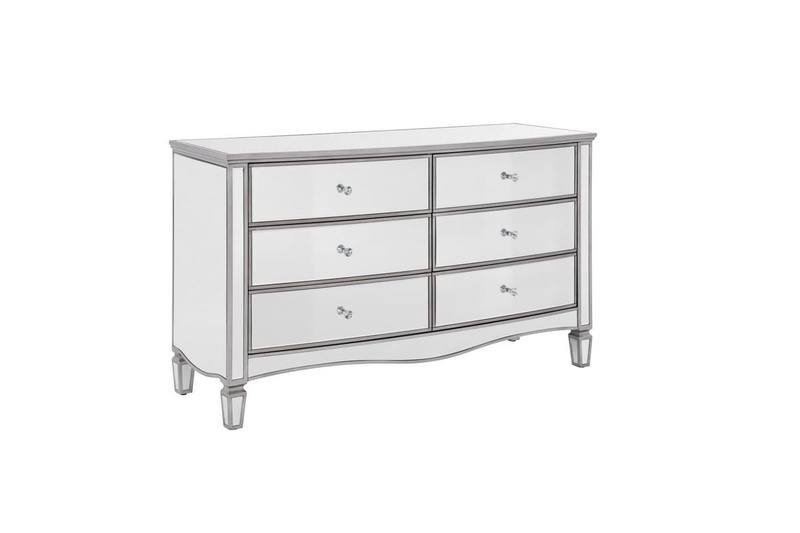 Give your bedroom a sophisticated finish with the Elysee 6 drawer chest. 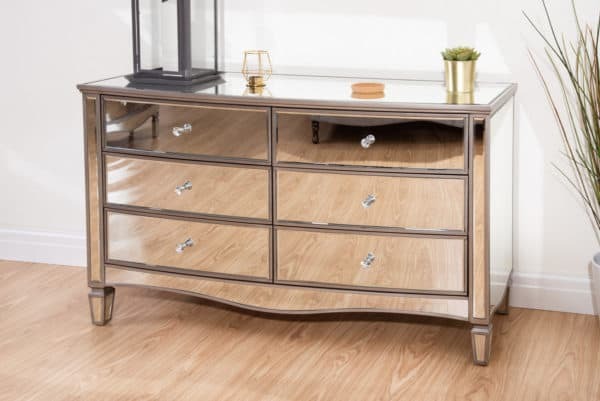 Elegantly made this 6 drawer chest is crafted in a clean, detailed design with a beautiful glass mirrored finish to provide a sense of space and light even in the dullest of rooms. 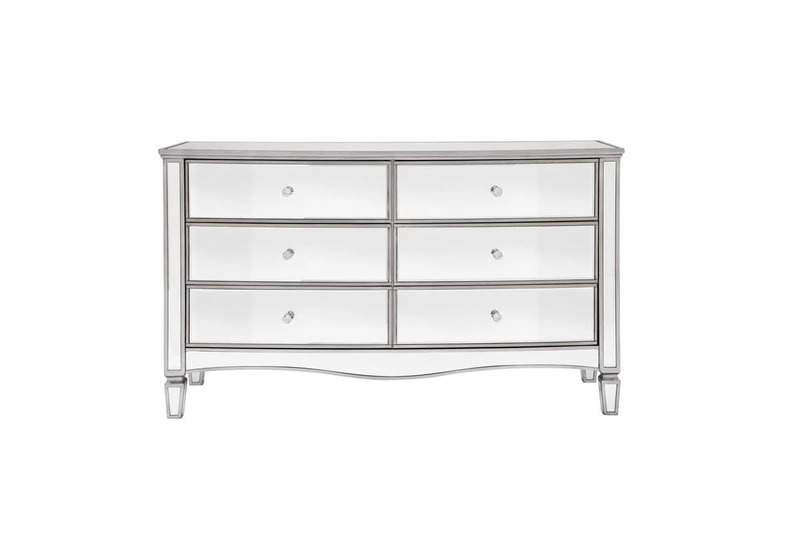 Complete with crystal handles, this Elysee chest features six generously sized drawers with a luxury velour lining. 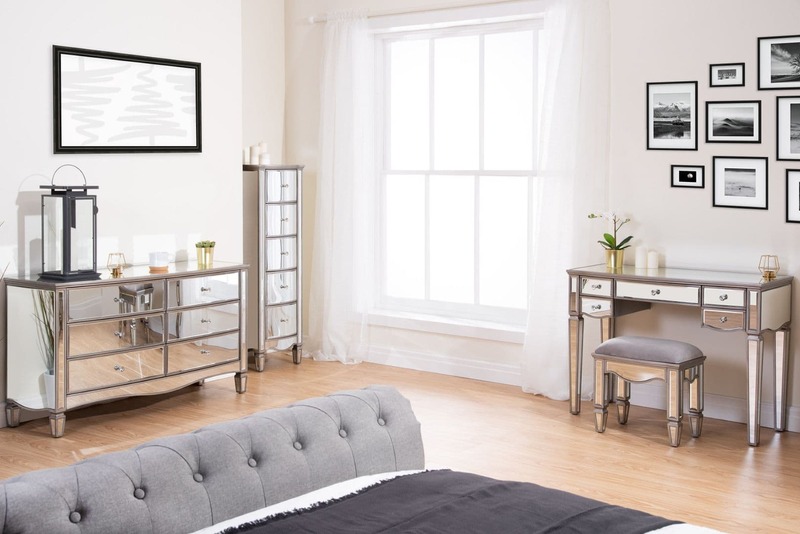 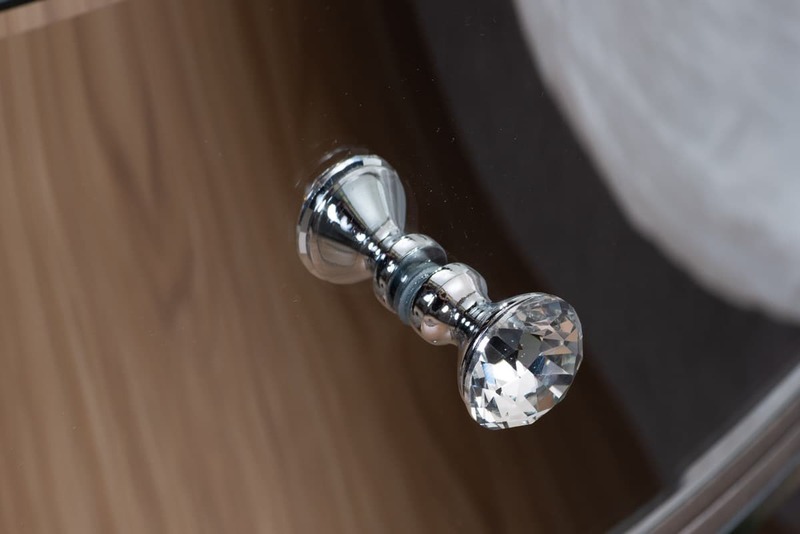 This versatile range will sit comfortably in a modern or traditional setting making this mirrored furniture a welcome addition to any home. Cleaning and Care: Wipe with dry cloth. 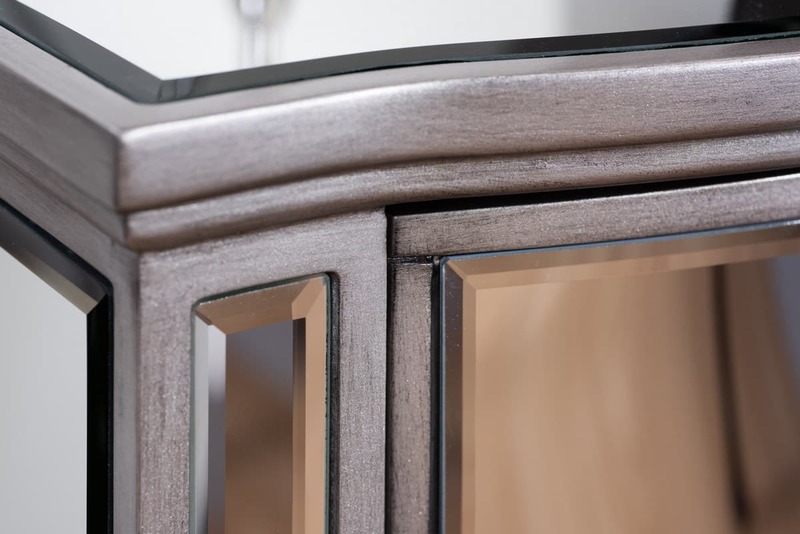 See more from the Elysee collection.